Transport Scotland has drawn up a shortlist of construction firms that are bidding for the £745 million Aberdeen Western Peripheral Route/Balmedie-Tipperty road scheme. 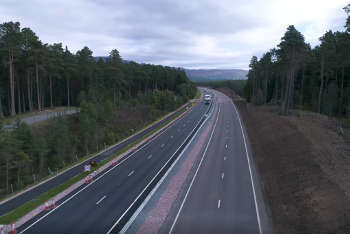 Scottish Government Transport Minister Keith Brown has set out how the A96 dualling programme will be driven forward. The refurbishment of three bridges over the M8 has been completed ahead of schedule. Improvements to the A82 in Scotland will now take place during a series of overnight closures. Transport Scotland has published a shortlist of contractors who are in the running to carry out an upgrade on the A82. More than 1,800 tonnes of litter are being cleared from the sides of Scotland’s road and rail routes every year. The dualling of the A9 in Scotland is attracting significant interest from consultancy companies. Scottish Government transport minister Keith Brown is set to meet with Dutch cycling experts to learn about the cycling infrastructure in the Netherlands. Work on the next phase of the £10.6 million Symington and Bogend toll scheme on the A77 in Scotland will start next month. Transport Scotland is set to award a £200,000 contract to URS Infrastructure and Environment. Transport Scotland has published details of three large design contracts worth in the region of £40 to £60 million each. 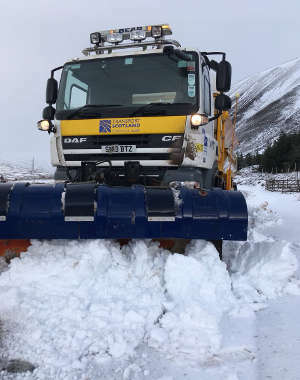 Transport Scotland is being sued for almost £1 million by Nationwide Gritting Services (NGS) over claims the transport authority failed to properly tender for salt supplies. Transport Scotland has awarded a £590,000 contract to Blom Aerofilms which will see the company carry out aerial surveys of where the A9 and A96 routes are to be upgraded to dual carriageway. Work on the A82 in Scotland is progressing well. Average speed cameras will be introduced on the A9 in Scotland. Transport Scotland is set to award a £5 million Crianlarich bypass contract to RJ McLeod (Contractors). A new £1.8 million bridge at Allt Chonoglais in Scotland has been finished ahead of schedule. Transport Scotland has announced the shortlisted companies being invited to bid for three large A9 design contracts. Construction of the Queensferry Crossing in Scotland is moving forward at a rapid pace. Work to remove a notorious bottleneck on the main Aberdeen-Inverness route is expected to start next year, subject to the successful completion of the statutory process. Work on a £415 million scheme to improve the M8 in Scotland is expected to get under way soon. Clearview Traffic Group has been working in partnership with Amey to deliver the Traffic Scotland operations and infrastructure services contract (TSOISC) on behalf of Transport Scotland. Work to improve the A96 Inveramsay Bridge in Scotland is expected to start by the end of this year. Refurbishment of the A9 Crieff Road bridge in Scotland has been completed two weeks ahead of schedule. The Scottish Roads Partnership (SRP) has been awarded a £500 million deal to construct the M8 and make improvements to the M73 and M74 by Transport Scotland. Five contractors are vying to win a £1.2 million roads contract that will see a key roundabout outside the Dumfries & Galloway Royal Infirmary in Scotland upgraded. Forty three per cent of markings in Scotland should be replaced immediately or need to be scheduled for replacement, according to a report released by the Road Safety Markings Association (RSMA). Scottish Transport Minister Keith Brown has taken a look at the ongoing recovery work that is taking place to get the A83 fully operational again. An extra £10 million will be spent on improving trunk roads in Scotland. Three new sections of Scotland’s longest trunk road are expected to be shovel ready in 2017. Symington Bridge in Scotland opened to road users for the first time last week. Scotland TranServ’s Trunk Roads Incident Support Service (TRISS) teams have assisted more than 8,000 stranded motorists on Scotland’s major trunk roads over the last year. Four contractors are in the running for an £11 million bridge improvement scheme in Scotland. Europe’s longest average speed enforcement system is to be installed along the A9 in Scotland and will cover a total of 220km of road. 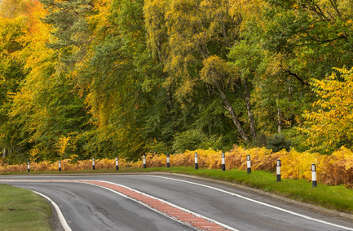 The first of three large design contracts for the A9 dualling programme in Scotland has been awarded. A new dual carriageway link road is planned as a solution to the ongoing congestion caused by the Haudagain roundabout in Aberdeen. 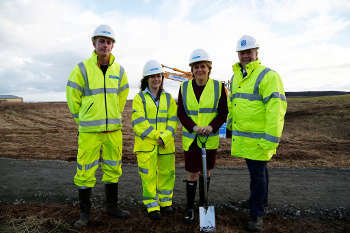 Transport Minister Keith Brown has witnessed the start of essential ground investigation works on the £11 million A96 Inveramsay bridge project in Scotland. A number of ancient artefacts that were found during construction of the £17 million A75 Dunragit bypass in Scotland have been unveiled. 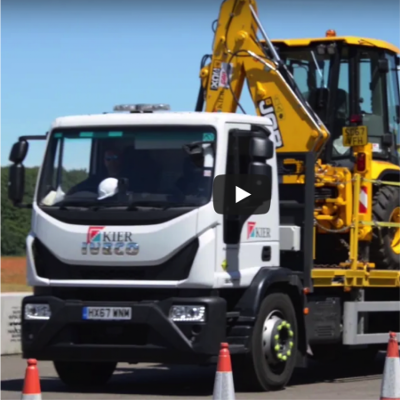 Scotland TranServ is rolling out a new range of high visibility garments to help improve the health and safety of road workers across south west Scotland. A road construction vehicle known as Paisley’s Flaming Dragon has been used to carry out major resurfacing work on the M8 Whitecart Viaduct in Scotland. Amey has been awarded a six-year contract to maintain and improve the motorways and trunk roads in south east Scotland. Scotland TranServ wants to reduce the amount of litter on the country’s trunk roads and has urged drivers to stop throwing rubbish out of their cars. Drilling & Geotechnical Ltd will carry out ground investigation work on the A9 in Scotland. Support for stranded motorists in Glasgow and the wider Central Belt has been significantly increased in an effort to cope with extra demand on the road network during the Commonwealth Games. Work to construct the Queensferry Crossing in Scotland is progressing well. 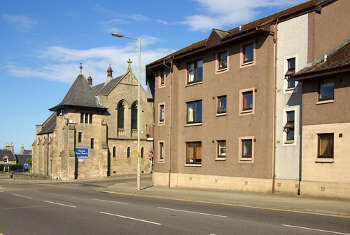 Connect Roads will start preparatory works on the Aberdeen bypass in Scotland this week. Transport Scotland is searching for a contractor to take forward the detailed design work for the first section of the A96 dualling programme. A £50 million contract to dual a section of the A9 in Scotland has been put out to tender. A contractor has been selected to take forward ground investigation work as part of the A82 Tarbet to Inverarnan improvement scheme in Scotland. Jacobs Engineering Group has been awarded a contract from Transport Scotland to provide multi-disciplinary consultancy services for the A9. Nationwide Gritting Services (NGS) has lost its case against Transport Scotland. The company attempted to sue the transport authority for almost £1 million over claims it failed to properly tender for salt supplies. Transport Scotland has drawn up a shortlist of four bidders that are competing to win a £50m contract to deliver the first A9 dualling scheme between Kincraig and Dalraddy. Heavy rain has caused travel disruption in the north west of Scotland with the A82 bearing the brunt of the conditions. Sub-contracts worth £70 million for the Aberdeen Bypass will be advertised by Transport Scotland. The Aberdeen Bypass will be completed ahead of schedule in winter 2017, the Cabinet Secretary for Infrastructure, Investment and Cities, Keith Brown has announced. The new £5 million A82 bypass in Scotland has been officially opened. Gordon Wilson has been appointed as contract director at Scotland TranServ. The Scottish government is spending an additional £3 million on the A83. Jacobs has been awarded a £30 million design contract for the A96 dualling in Scotland. Donald Morrison, head of asset management and procurement for Transport Scotland, has joined the Highways Magazine editorial board. Scottish Transport Minister Derek Mackay has visited the Forth Road Bridge to see how it is performing under a new operator. Amey has re-secured a position on Transport Scotland’s Major Transport Infrastructure Projects (MTRIPs) framework. Roy Brannen has been appointed as the new chief executive of Transport Scotland. Examples of bridge options being developed to cross the River Spey near Kingussie in Scotland have gone on display this week as part of the consultation process for the A9 dualling scheme. The Forth Road Bridge is to shut until the New Year for repairs following the discovery of defective steelwork. A team of engineers from Amey have been working hard to develop a solution to structural problems on the Forth Road Bridge. 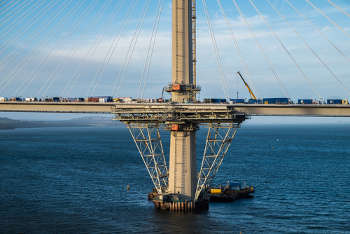 Work on the Queensferry Crossing in Scotland is progressing well with over a quarter of the bridge deck now in place. Additional safety cameras will go live at the Forth Road Bridge in Scotland tomorrow (Thursday 14 January). The Scottish government has announced £24 million worth of funding to take forward the design and construction of a new junction on the A90 in Aberdeenshire. Four companies are in the running for a £50 million design contract to dual the A96 in Scotland. More than £350 million worth of sub-contracts have been awarded for work carried out on the Aberdeen Bypass, Transport Scotland has revealed. Transport Scotland will spend £750,000 on improvements to the A9 Kessock Bridge. An upgrade to a notorious bottleneck on the A96 at Inveramsay Bridge in Scotland is set to open under traffic management tomorrow (18 March). 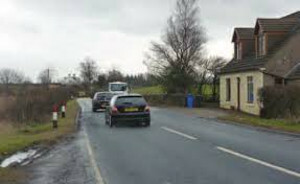 Transport Scotland is inviting companies to bid for the construction of the A737 Dalry Bypass in Ayrshire. A Mott MacDonald Sweco joint venture has been awarded a £50 million contract by Transport Scotland to carry out detailed design work for dualling the 29-mile western section of the A96 between Auldearn and Fochabers. Video shows the construction of the largest single span bridge being built as part of the £500m M8 M73 M74 Motorway Improvements Project in Scotland. The Queensferry Crossing in Scotland will open five months later than planned. Transport Scotland has appointed the Mott MacDonald Sweco joint venture (MMS JV) to carry out route option assessment and detailed design work for dualling of the A96 between Hardmuir and Fochabers. Filming of Trainspotting 2 meant one of Scotland’s busiest trunk roads – the A725 – was closed while a scene was shot. Transport Scotland has revealed the shortlist for its Dalry Bypass contract with four bidders in the running for the job. Tarmac and Amey have set a new record for laying asphalt in Scotland after delivering almost 2,500 tonnes in under 30 hours on a section of the M9. Transport Scotland has awarded Fugro Geoservices a £1.2 million ground investigation contract on the A9. A timelapse video that shows the demolition a bridge on the A8 has been released by Transport Scotland. Work to replace damaged “truss end links” that led to the closure of the Forth Road Bridge at the end of last year has started. Twenty-seven beams will be used to construct the North Deeside and Fishermyre to Clayfold Road bridges in Scotland. Fugro will carry out ground investigations on Transport Scotland’s project to dual the A9 between Perth and Inverness after being awarded a contract. Raeburn Drilling and Geotechnical Ltd have landed a ground investigation contract worth almost £1.5 million which will help progress two A9 dualling schemes – Glen Garry to Dalwhinnie and Dalwhinnie to Crubenmore. Transport Scotland has refreshed its Cycling Action Plan with an aim of having 10% of everyday journeys made by bike by 2020. Average speed cameras are to be installed on the A90 at Stonehaven in an attempt to improve safety for construction workers and road users. Dominic Browne caught up with Hugh Gillies, director of trunk roads and bus operations at Transport Scotland, for a Q and A about the recent extreme weather seen north of the border and how the devolved nation fared when it came up against the Beast from the East. The Scottish Government has announced a new, six-month delay on the troubled £745m Aberdeen Western Peripheral Route (AWPR) project. Transport Scotland is set to permanently remove a set of traffic lights on the A96 in Nairn, following a successful trial. Transport Scotland has said it still expects the troubled Aberdeen bypass to open in the autumn, despite the remaining contractors on the project predicting a finish this summer. 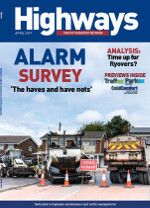 A special Talking Transport podcast is now online, with SMART Highways editor Paul Hutton joined by Highways editor Dominic Browne, deputy editor Chris Ames and Traffex Seeing is Believing content director Adrian Tatum. Auditors have praised Transport Scotland for its management of the project to build the new Queensferry Crossing, which opened late last year but came in at least £110m under budget. The Scottish Government has launched the procurement process for two new road maintenance contracts worth up to £1.4bn over 12 years. Transport Scotland is set to hand Interserve a £9m contract to realign a stretch of the A737. Balfour Beatty is in line for a £62m construction contract for the next major section of the £3bn A9 Dualling Programme. Transport Scotland has advertised its first two next generation trunk road contracts, worth a total of £1.4bn.